This is too much. When Amy Adams was cast in Hillbilly Elegy it seemed like, Oh, this is a great chance for her to finally get an Oscar! 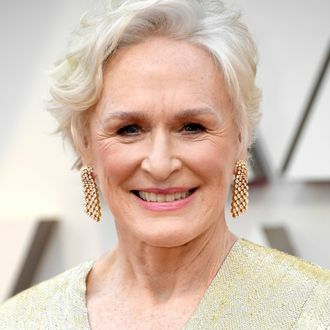 But now, according to The Hollywood Reporter, Glenn Close will join her in Netflix’s adaptation of J.D. Vance’s best-selling memoir, and suddenly the thought of Close and Adams jockeying for position on the long march through a For Your Consideration campaign feels like an anxiety minefield. (In a mockery of justice, neither woman has won her first Oscar yet.) To be clear, this is very good news. The titular J.D. has not yet been cast, but Adams will play his mother, Bev, and Close will be his grandmother, Mamaw, in the multigenerational story of an Appalachian family, which will be directed by Ron Howard. Hillbilly Elegy seems like a great excuse for Netflix to, maybe, buy a movie theater for the purposes of making its movies Oscar-eligible?